This is the last post in our several-part series on regional vocabulary & expressions from different parts of Québec. This last post will cover variations from several regions around Québec. A map of some of these regions was given a few posts ago (you can view the map by clicking here). Word “Y” (this would be the equivalent of what could be heard more in the Montréal region or province-wide). I will also include the English equivalent as well as reference notes. Once again, there is no hard and fast rule regarding this vocabulary (after all, this vocabulary is based on very informal colloquialisms [informal oral speech]). Words change with time, and a number of what is presented here may not be said by most people in the stated regions, some words may have fallen out of use with time, and others may also extend beyond the stated region. Bas-Charlevoix: Pour que c’est fait pas simple de même? Pourquoi tu fais simple comme ça? une batte de baseball = baseball bat. (note: un club de baseball is a baseball team/club, but it can sometimes also be heard as the term for a baseball bat… but it sounds strange and hick’ish when used to refer to a bat). pousser le char (en panne) – To push a car which is broken down. Ne me derange pas = Don’t bother me. Gaspésie: Ça me barbe pas. Ça ne me dérange pas = It doesn’t bother me (note: in old French, “faire la barbe à quelqu’un” meant to tease or make fun of someone. 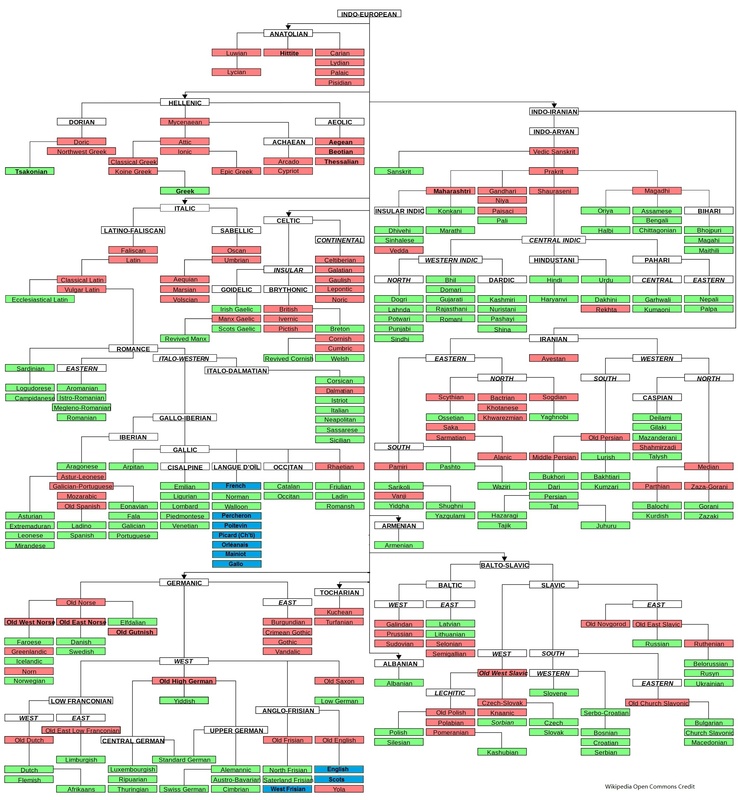 I find it interesting that this very old language use managed to hang on so long in more isolated regions). Ragout à boulettes = meatball stew (“pelottes” is a specific recipe in the region). It has a funny name which makes people in other regions laugh when they hear it. It becomes even funnier if you drop the word “ragoût” because the first “e” after the “p” is silent, thus the word sounds like PL#@TE… a very, very BAD word (it might even earn you a smack if the person you are talking to doesn’t know the context of what you are talking about) – Ta grand-mère là… son affaire de pelottes là, ça sent tellement bonne! Je peux-tu y goûter? (I’m going to skip on the explanation… suffice to say, just don’t say that to any females should they serve you ragoût de boulettes at Christmas or at any other time). un coton-ouaté = a sweater. This word can also be heard outside the region. Fan = electric fan. Feminine versus masculine, un fan. Combinaisons = Over-alls. The letter “r” takes the French pronounciation. tarte aux raisins sucrés = sweet grape pie (note: Tarlouche is an old word from the Argonne dialect of French, Northeast of Paris near the Belgian border. It used to mean a big piece of bread or meat in Europe. I’m not quite sure how it made its way into Québec regional French or how it came to signify sweet grape pie). That’s a wrap on the short blog-post series on Québec regional words and expressions. Informal Québécois “regional” words and expressions (versus province-wide informal vocabulary) are very difficult (and almost impossible) to find online (most online material focuses on province-wide and Canada-wide spoken French words and expressions). I am more than positive that what I have provided is just the tip of the iceberg, but I hope my own bit of insight through these last few posts has been of interest. If you’re looking for informal, colloquial French vocabulary, but which is spoken all across Québec (yet sometimes Montréal specific, but also often Canada-wide), I’d like to refer you to Felix Polesello’s website, OffQc, at www.offqc.com. Felix has done an amazing job on his website, and has worked very hard and diligently to try to bring you what I believe is the web’s best and most interesting site on the subject. Make sure to check it out. 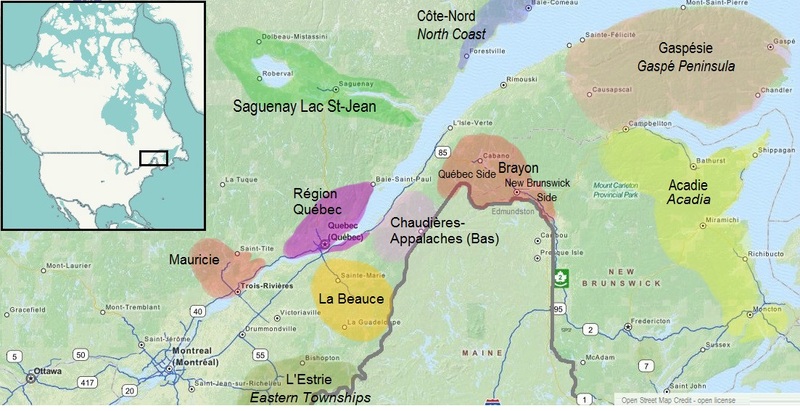 Building on the last few posts, here is another post with more regional vocabulary & expressions — this time from the Saguenay Lac St-Jean region. You can refer to the map in the previous post to see where this vocabulary primarily comes from. In this sense, this list can be considered a comparison of French from the Saguenay Lac St-Jean region versus from the Montréal region. As I said before, keep in mind that there is NO hard and fast rule about this vocabulary (we’re very much in the realm of lose oral colloquialisms). Things change with time, some of these words and expressions may not always be said by the majority, the areas they’re restricted to may have fuzzy borders (therefore you may hear these words outside this region). As well, individuals may say things differently. Below is some vocabulary from the Saguenay Lac St-Jean region. un beigne = doughnut. You’ll recall from the prior “Québec City” vocabulary, there was a “masculine / feminine” difference for buses and french fries between Québec City and Montréal. Here we have another gender difference between Saguenay Lac St-Jean and Montréal, but this time with doughnuts. J’en ai pas. I don’t have any. The addition of “A” at the front makes this a bit more local (versus J’ai pantoute which is said everywhere in Québec and everywhere in Canada). To have a cold one (beer). This one you will hear elsewhere, but perhaps more so in Saguenay Lac St-Jean (I’ve heard it other places… and I say it myself as part of my own vocabulary. You’ll hear it in Montréal, Ottawa/Gatineau and elsewhere, but I think it’s quite “standard” in Saguenay Lac St-Jean). tomber en panne = to be out of order, to break down (most often referring to cars, but can be for other mechanical things also). an order of french fries (mostly “des frites” in Montréal). someone overly dramatic (someone who exaggerates a bit too much for the purpose of stretching things or getting attention… perhaps a drama queen in English, but applicable to women and men). clouer = to pound a nail (with a hammer). The “e” right after the “k” is pronounced. a bunch of wood, i.e. : perhaps a floating bunch of wood on a lake or river. (It doesn’t mean a nice looking woman in this case, which is another province-wide meaning). bar-hop. Vas-tu trôler à soir? (trôler in Montréal means to trole online, like in English). Shrek’s wife (KIDDING!! But you paused for a second, didn’t you !?!). Trôleuse is actually an old regional term for a bar table. That has is for the vocabulary and expressions which I know of from the Saguenay Lac St-Jean region. However, this is a region rich in many other expressions and vocabulary, much of which I do not know or am unfamiliar with. 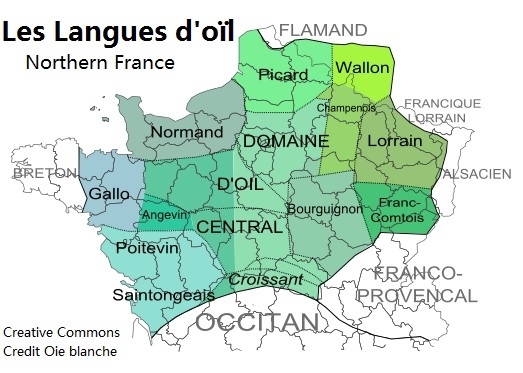 With that being said, there is more information online regarding this region’s own vocabulary than there is regarding any other region in Québec (with the exception of Montréal). If you spend some times surfing the web, I’m sure you’ll be able to find more than what I’m able to offer. The next post will be our last one on regional vocabulary. See you soon! The last post presented vocabulary and expressions which are used primarily in the Québec City region of Québec (although some of the vocabulary may occasionally be heard in other regions of Québec the odd time). The last post covered “A to E”. This post will cover “F to Z”. Afterwards we will move on to other region-specific vocabulary of Québec. Instead of using International French as the comparison vocabulary, I’ll concentrate more on Montréal and greater-Québec vocabulary for base comparisons. In this sense, this list could be considered a “Québec City versus Montréal/Québec Province vocabulary” list. kind of a “Whaaat?? ?” face, with your lip curled up and nose scruntched (you will hear this expression elsewhere in Québec… it is standard vocabulary – but I’ve heard it much more frequently in the Québec City region than elsewhere). In Montréal, people will be more apt to just say “des faces”. soigner les animaux, s’occuper des animaux (sur la ferme). Animal husbandry (raising / looking after animals). Said more in rural zones. Likely comes from leading animals, such as cattle, out to pasture or watering holes. ventilateur = electric fan. Careful: This word can be heard in Montréal as well, but it is masculine in Québec City, but feminine in Montréal (une fan). Careful: a “fan” (such as a sports fan, or pop-star fan) also exists in French, but it is masculine. youngsters, kid, teenager (in Montréal, we’d generally just say “des jeunes” or “des ados”) Adolescents / teens can be heard saying “mon gang de flos” = my gang of school friends / peers [group of young people who are friends]). I’ve heard stague (male) and staille (female) denote the same thing in other regions across Canada, but I think this is quite dated (perhaps 1980s or earlier). remplir la poêle à bois – put wood in the (wood) stove. A “truie” (f) is an Eastern Québec and forested Québec word for a small wood stove. Note… fourrer, in the “true” sense of the word, actually meant to stuff and oven or stove many decades ago, as well as over the past few centuries – which is why this expression exists. However, the word fourrer today has taken on a much different meaning. The word became twisted with time. une frite (feminine) = fries, i.e. : French fries (careful… when said in the “singular”, this word is masculine in the Québec City region, but feminine in Montréal). In the Québec City Region, it can sometimes be heard when actually ordered fries. Usage example: At the fast food counter, when you want to say “I’ll have an order of fries”, in Québec City you can say “Je prendrai un frite”. In Montréal, however, you’ll be more apt to hear people order in the plural: “Je prendrai des frites”. But it becomes confusing when you want to just ask for a petit(e), moyen(ne), or grand(e). But frankly – nobody who works at a fast-food joint cares. So don’t worry. If worse comes to worse, just ask for “des frites”. Perhaps the best way to pretend that Montréal is a boy, Québec City is a girl (and apply this rule to fries and buses).—— Unrelated note note: An expression which uses the word frites is un casseau de frites. “Un casseau” is the little basket in which fast food joints serve fries. The other context in which you’ll use “casseau” would be for a casseau of berries (the little basket of strawberries or blueberries at the supermarket). “Casseau” is standard French, spoken everywhere in Québec and Francophone Canada. chewing gum (also heard in Montréal, but is spelled gomme). In Europe you’ll hear chewing, or chewing-gum (the latter you’ll also hear in Montréal). the drag, strip (in the sense of a road)… “Faire un tour sur la mayne” means “cruising down the drag /strip / street” in a car. photos : very interesting expression, especially one which could be of interest to linguists. Here’s the story as I understand it: At the time photos were being invented, the invention did not yet have a formal name. Some people called them “memory mirors” in French, before the word “photograph” existed (recall that some of the first photographs were invented in France). The word made it to this side of the Atlantic, and photos continued to be called “miroirs à souvenir” in some isolated communities in Québec, right up until very recent generations. I’ve been told some people can still remember their grandparents or parents calling photos “des miroirs à souvenir”. The fact that such an old word still exists to a certain extent illustrates just how isolated some communities were in Québec from one another up until the mid 20th century. pinces-étaux or serre-joint en C, or serre-joint (international French terms you’ll see written on the packaging at Canadian Tire or Home Depot) = self-locking clamps, C-clamps, or vice-clamps. This is interesting, because you’ll hear it in Montréal and Ouataouis, as well as Ontario. But in these latter places it usually refers to a goatee, or facial hair when the “chin” is involved. In Québec City, you’ll hear it take the same meaning as elsewhere, however in Québec city you’ll also sometimes hear it refer to only a “mustache”. (which is generally a usage unique to Québec City). croquettes de poulet, nugget de poulet = chicken nuggets, little fried chunks of chicken. Some people may also refer to fried chicken strips as “pipites de poulet”. pour emporter. This phrase is the “evil twin” (or the “better twin” – take your pick) to the Canadian English equivalent. This is what you say if you want take-out instead of dining-in. In Québec city people might know you’re not local if you say “pour emporter”, whereas in Montréal, you would generally say “pour emporter”. This is quite interesting, because almost the exact equivalent situation exists in Canadian English between Eastern and Western Canada. Manitoba and anywhere further West = “to stay”, whereas Ontario and anywhere further East = “for here” (I mentioned this a couple of posts ago). lavabo, évier (a sink). Here’s a language-learning tip for people learning Canadian French… in general, (1) évier = kitchen sink for washing things, (2) lavabo = a sink for washing your hands or face in the washroom/restroom, (3) cuve = big deep sink you might find in the laundry room (usually those big, white plastic ones).